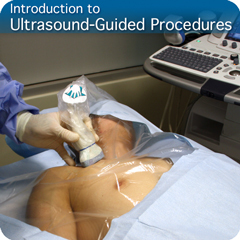 This Introduction to Ultrasound-Guided Procedures Module will provide you with an in-depth understanding of the basic principles of how to perform ultrasound-guided procedures. 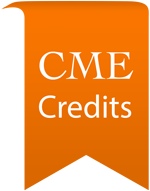 This didactic knowledge is assessed with in-module questions and an end-module mastery test. 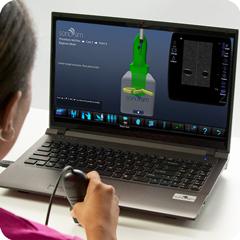 The patented SonoSimulator® coupled with SonoSim® SkillBox cases will help you develop the requisite hands-on psychomotor skills and cognitive task awareness required to optimally perform ultrasound-guided procedures. 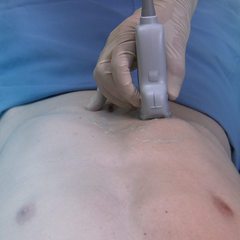 The SonoSimulator® provides you with the opportunity to develop and maintain the critical visuomotor and visuospatial skills that are central to performing ultrasound-guided procedures. 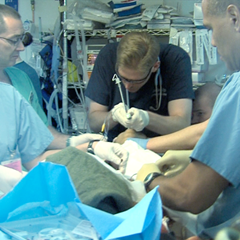 Psychomotor training cases with needle placement functionality are provided in an engaging, step-wise, and progressive manner via the SonoSim® SkillBox. 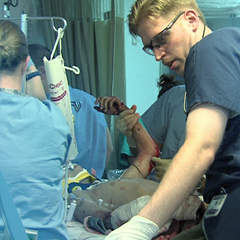 The SonoSimulator® coupled with SonoSim® SkillBox cases provide a robust method of developing a solid foundation of psychomotor skills, which can be applied towards performing future ultrasound-guided procedures.